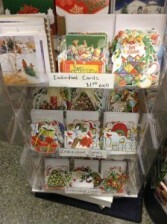 Hand writing a Christmas card will make a big impression this year. We have hundreds to choose from. 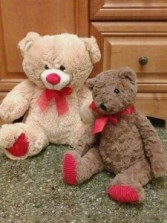 Cuddly plush bears. You can choose from dogs, bears, hearts, stuffed flowers, etc. We can delivery them with your favorite flower bouquet. These sweet canines will look great sitting (and staying) on any dog lover's desk or shelf. 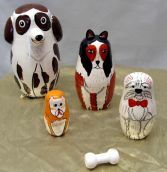 Made from real wood, the set contains 4 dogs and a bone. 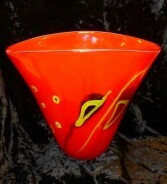 Majestic and modern, this bright red glass vase with black and golden abstract design makes a bold statement. Excellent for large arrangements and equally awesome as a stand alone piece. 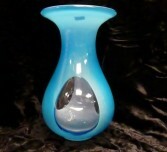 Beautiful sky blue and clear curvy glass vase for large fresh floral arrangements. Call you Madison florist today for same day delivery. 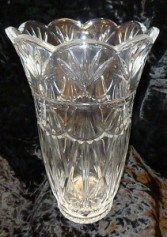 Lovely traditional crystal vase with a scalloped top edge. 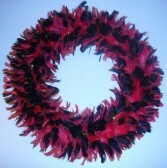 Bright and sparkly to show off your freshly cut floral arrangement! 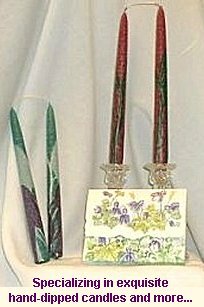 An excellent selection of Colonial Brand Candles in a variety of lovely aromas. Tree sculpture made from hazelnuts surrounded by moss in a small square planter. 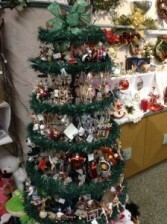 Adds that natural touch, perfect for the tree lover or other "nuts" in your life. Call A New Leaf to order today!